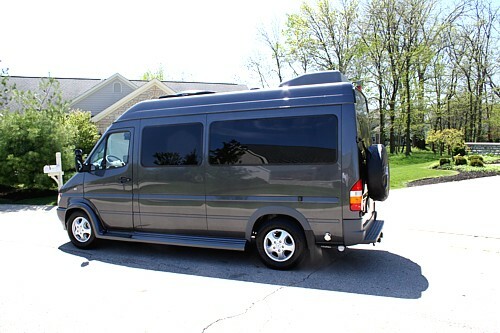 Creative Mobile Interiors worked closely with the couple to meet their specific needs and reflect their personal taste when designing and building the interior of this gorgeous 140” high roof Sprinter. 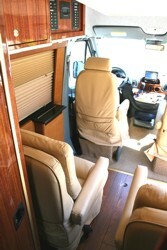 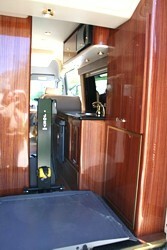 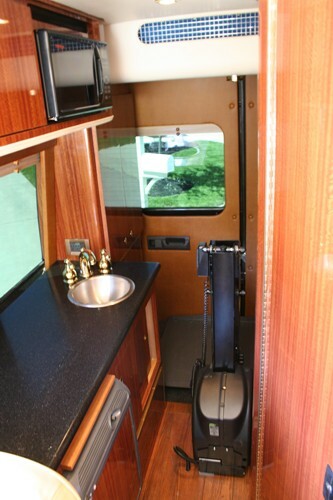 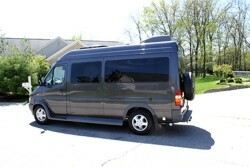 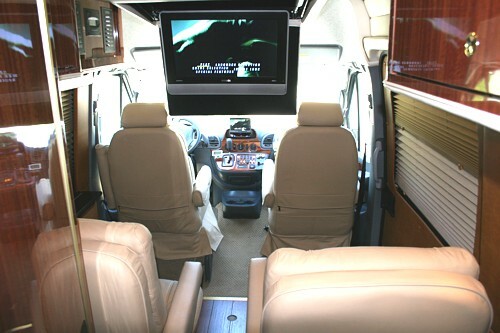 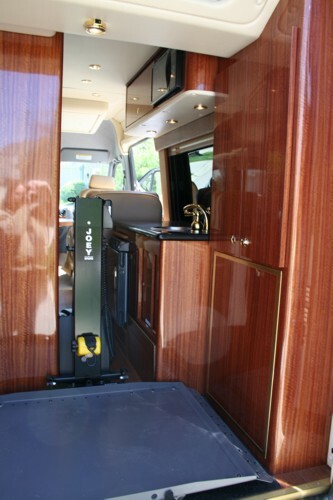 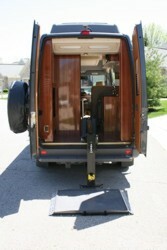 The result is a beautiful vehicle fit to travel around the country in ultimate luxury. 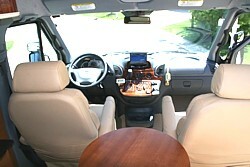 The cab seats swivel around to face the two rear recliner seats, with a removable table, and a pullout aircraft table for the curbside seat. The state-of-the-art audio video system features an in-dash Alpine Multi-media control head, with GPS, iPod connection, and satellite radio, as well as a KVH satellite TV system, and a motorized flip-down 23” flat screen monitor. 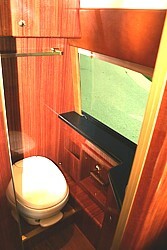 CMI’s design team worked directly with the customers, who selected all of the decor and materials. The van is equipped with a Braun Mobility Scooter lift and several special grab handles. 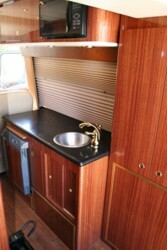 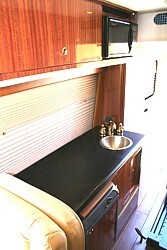 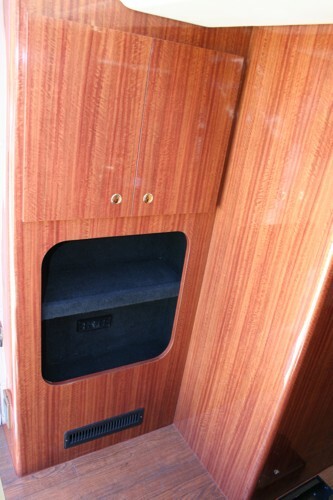 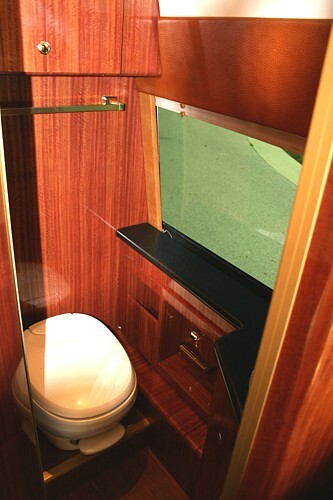 A bathroom, with fully plumbed toilet & sink system is also incorporated into the layout, as well as a galley with a refrigerator, sink, and overhead microwave.